Earlier this week I had the pleasure of attending the BBC National Short Story Awards which was one of the highlights of my professional career and it dawned on me what an eventful year it’s been. To recap the tail-end of my last job at The Independent on Sunday: I wrote about 2016 cultural highlights and started reviewing books for the literary section which was a complete and utter joy. I wrote about Julie Myerson’s thriller The Stopped Heart in January and the following month plunged into bittersweet whaling story Rush Oh! In March, after a year at the Independent on Sunday, I left because the newspaper went online only and I’d been working almost exclusively on the art pages in the printed edition. There were so many fun aspects to the job and lovely colleagues so it was sad to leave but I was excited to try my hand at arts PR. Since April I’ve been working as a freelance arts publicist focusing on books and literary events. I’ve learned about how to promote literary events, pitch authors’ features and secure reviews. I’ve got my authors on Radio 4, in The Guardian Online, The i, Red Online and everything in between. I’ve also studied short story writing at Goldsmith’s, three terms of life writing at Morley College and tried my hand at life drawing at the Thomas Calton Centre in Peckham moments from where I live. I’ve even adopted two kittens. And I managed to interview the lovely Meg Rosoff in June about her love of south for Below the River and why she thinks Burgess Park is so great. So if you need any help with publicity let me know on heloisewood (at)hotmail.com. If you want to be inundated with photos of adorable cats instead follow me @Saltounite. 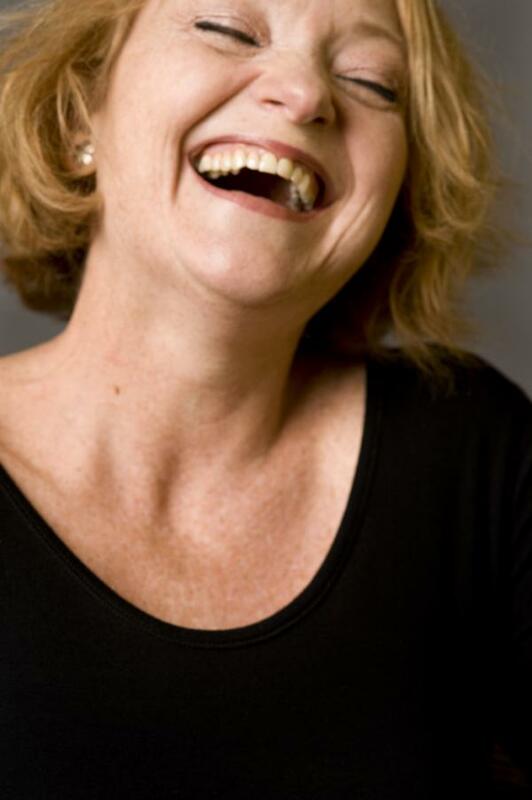 When Vibe catches up with Stella Duffy, it’s clear the Woolwich-born writer and theatre-maker is on a serious mission to have fun. The Loughborough Junction resident is launching Fun Palaces this weekend (October 4 and 5) to bring art and science back into the streets for everyone to enjoy. The initiative, which includes everything from mermaids in lidos to robots and behind-the-scenes theatre tours, the scheme is action-packed. 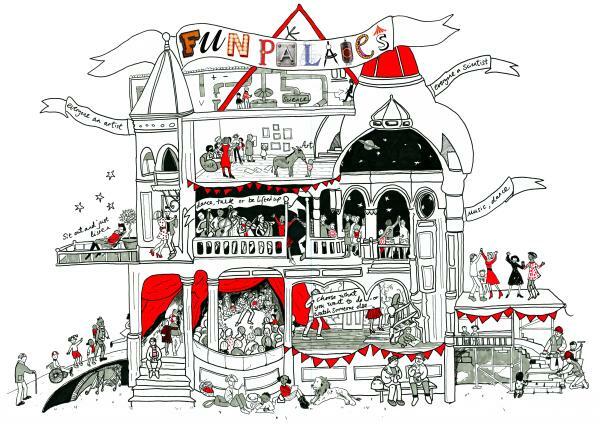 Stella believes the concept of the Fun Palace, devised by Joan Littlewood in 1961, is fundamental in ensuring everyone can enjoy the arts and sciences. She says: “I never knew I could be an artist, until I was about 15 and even then, I thought only posh people were writers. “Thinking about my own family in Woolwich, they might have gone to the theatre in central London once a year at the most. A lot of people feel it’s not for them. “My grandfather was born in Griffin Street, Deptford, around where the Deptford Lounge is and in the Charles Booth poverty map it was a dark blue colour which meant it was a really poor area. He was working by the age of 14. “I grew up in a council estate in the Woolwich dockyards until I was five and because I was the youngest of seven I used to play on the balcony. Stella moved to New Zealand when she was five but has since spent most her life in south London where she has spent countless hours preparing the Fun Palaces initiative. She says: “The Albany in Deptford – which is where we’ve been organising the Fun Palaces – is only 20 minutes from my home in Loughborough Junction. “It uses its space brilliantly and has so much going on including Meet me at the Albany, a social group for older people. “There will things happening in Greenwich, and Deptford for example and Old Bexley Church of England Primary School, Hurst Road, is opening up its new building on October 4. Stella, who published her first novel 20 years ago, said: “It’s important everyone knows they can become involved in the arts and sciences if they want to. “Keep going – far too many people spend ages on their first three chapters thinking you just have to send these off to an agent with a synopsis but that was only ever the case for about three people in the 90s. “No one writes a brilliant first draft, you don’t want to edit too much before you finish it, just keep writing until you’ve got it all down. “Don’t feel like you have to give up your job – lots of people like Dostoyevsky kept on with their jobs. “I teach Arvon courses and tell people, don’t write your novel in your sabbatical, what a waste that would be. Do it first thing in the morning or at night when you can’t sleep. Feeling bloated after your holiday? It could be worse. 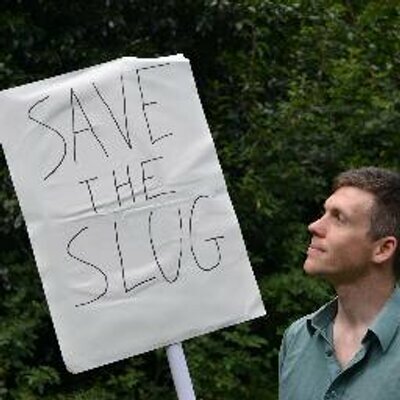 Find out more from the Horniman’s Walrus next month. Four months into my lottery-funded Arts Council funding, I’ve written 40,000 words of the novel but am in desperate need of some light creative relief. So if, like me, you’re keen to flex those literary muscles in a supportive setting, here are my top tips for your writing schedule over the next few months. The award-winning Dulwich Books in Croxted Road often boasts stellar author events and is teaming up with the Horniman Museum next month to hold a Taxidermy evening to launch Kate Mosses’ new book, The Taxidermist’s Daughter. There will be sparkling conversations (including Sandi Toksvig chatting to Mosse), music, refreshments and even a taxidermy photo booth. It takes place on September 11 and costs £10. The Bookseller Crow Bookshop in Westow Street, Crystal Palace, hosts a book club and regular readings from authors with recent visitors including author Kerry Hudson. You can sign up to the mailing list to keep informed of what’s going on. Secondly, it would be worth signing up to goal setting community Write Track if you haven’t already. This monitors your writing progress and provides support, exercises and tips. The legendary London Review of Books has a jam-packed event schedule and sometimes featuring gin cocktails and music from a sea shanty choir. The Southbank Centre (which is running a literary festival next month) is also a good space with lots of tables, plug points and ample chance for people-watching. In terms of writing space, I would recommend The Montage cafe in Forest Hill which is full of hidden corners and expansive tables to spread your work out on. The fact there is also delicious cake on offer is merely incidental. I was tipped off about this place by Miniaturist author Jessie Burton when I interviewed her for News Shopper – you can read more about her advice for aspiring writers here. I’ve also found some books very helpful recently. How to Write a Novel in a Year is written by Louise Doughty, who has not only written excellent books but also taught on Arvon courses. It’s fun to read, accessible and inspiring. The title of How to Craft a Great Story put me off slightly because it sounded a bit old-fashioned and like I’d have to be sitting round a campfire on a scout weekend to appreciate it. How wrong I was. It’s actually packed with technical tips on how to create plot and structure your story in a way which appears effortless. Write a Novel and Get it Published is part of the same series and is similarly practical. It’s written in a down-to-earth tone but is extremely comprehensive. A friend also recently tipped me off about Paris Review’s interviews with authors which contain a wealth of knowledge on writing. For more information on the Arts Council’s grants for the arts, visit this website. For many the idea of a portfolio career may sound abstract or downright pompous, but there are incredible opportunities to be had in juggling jobs. I became a portfolio careerist this year after winning an Arts Council grant, which means I can take a day out of my local newspaper reporting role to spend it working on my novel. In fact, many companies are now wising up to the benefits of a more holistic working life. So how can you make a portfolio career work? Writer Daisy Buchanan juggles writing for publications like Debrief and The Telegraph with social media work. Science communicator Simon Watt (below) believes being practical with your timetable and making the most of your opportunities is the first step to having a portfolio career. Charlotte Jarvis combines filmmaking and visual art with a pop-up restaurant she runs with her partner, as well as lecturing and tutoring. A professional support network will be useful on the days when your self-motivation wanes. Try organisation like IdeasTap or Backr that offer mentoring, opportunities and events. Accept that there will be admin and embrace it as much as you can.This will make job-juggling a lot easier particularly where finances are involved. Consider apps like Evernote to collate information or write-track which helps measure your writing progress. Sign up to IdeasTap for advice, funding, opportunities and our weekly newsletter – with all the latest arts jobs. A former actress from Forest Hill is setting the literary world alight with her creation of a magical, microscopic world. Jessie Burton’s The Miniaturist is delighting reviewers and readers alike with its tale of hidden love, obsession and betrayal in Amsterdam in 1686. 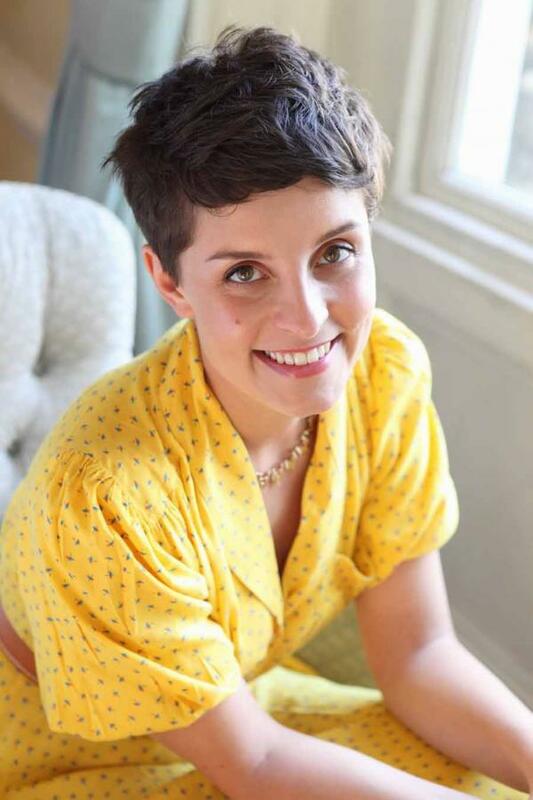 The Oxford University graduate’s debut novel entered the bestseller lists at number four after being published a few weeks ago and has already been translated into around 30 different languages. Jessie told Vibe: “It means so much that people are reading it and hopefully enjoying it. It’s a real thrill. “I started it in 2009 and edited it six times that year in 2012. I put the finishing touches to it earlier this year. “I was working as an actress and as a PA in the city between jobs and so I’d do work in the evenings, weekends and occasionally in the day if work was quiet. She is a huge fan of south east London and told Vibe her favourite spots in SE23. Jessie told Vibe: “I recently moved to Forest Hill after living in East Dulwich for four years. “I love living round here – it’s laidback but the community is involved at the same time. “The artists’ studios along Havelock Walk are often opened up and the cafes are great. She is now working on her second novel interweaves two narratives, one set during the Spanish Civil War in the 1930s and the other in 1960s London. “Read a lot. By some osmosis, you take in how people make up pace and characterisation. “Try and write without being too careful or self-editing. “All the real work comes with the edit. It’s only when you have the words out you can see what it should look like. “Don’t think of it as a novel yet because that is enormous pressure, instead think of it as a piece of work. Are you a writer in need of inspiration, guidance or simply some solace from your solitary ramblings? Well look no further because London is bursting to the seams with literary goings on this week as well as lots of free resources for would-be novelists. I have been scouring the web for helpful ideas after winning a national lottery-funded grant from the Arts Council to help me spend one day a week writing a novel. The grant is helpful in giving me actual time to spend on my novel but these events and projects are also proving vital in pointing me in the ‘write’ direction. 1. Foyles Bookshop is unveiling its swanky new premises in Charing Cross with three weeks of literature and culture events (ending July 5) so there will be plenty of chances to get up-close-and-personal with your favourite authors. Goldsmiths academic Zoe Pilger will be appearing on June 24 to discuss Eat My Heart Out which has garnered rave reviews. 2. Literary Kitchen Festival is happening this week in Peckham and is designed to prompt people to get scribbling as well as pick tips from Goldsmiths Writers Centre tomorrow evening (June 18). There is an East Dulwich Literary Festival happening later this month and a Peckham-wide Literary Festival scheduled for the Autumn. 3. The Goldsmiths Writers’ Centre in New Cross hosts many free events with people such as Deborah Levy throughout the academic year and you can even listen to podcasts on the website if you miss them. 4. The London Short Story Festival is happening at the weekend (from June 20 to June 22) in Waterstones Piccadilly with a range of events and even a free writing space where you can enjoy workshops throughout the day. 5. Womentoring launched in April to offer women free mentoring women from authors, editors and publishers. It is a project which has generated a lot of coverage and helped propel founder Kerry Hudson on to the Bookseller’s Rising Stars list for 2014. 6. Warwick University has a series of Writing Challenges podcasts to help you get started and to enable you to develop your writing. 7. Myslexia has a quarterly magazine packed with articles and tips for female writers as well as competitions with prizes worth thousands of pounds. 8. Ideastap is a creative-industry focused youth charity but has loads of general resources on writing, researching and editing for people of all ages and it is edited by a former News Shopper reporter. 9. Eltham Arts is a creative hub based in SE9 which runs meet-ups and competitions throughout the year. They recently hosted an event for World Book Night. 10. The Southbank Centre hosts a huge range of events with authors and also has a literature festival coming up in September. This originally appeared in News Shopper.